From clothing to safety equipment, there’s all kinds of great gifts out there for the hiker in your life. Read on to learn the top 10 gifts for hikers. 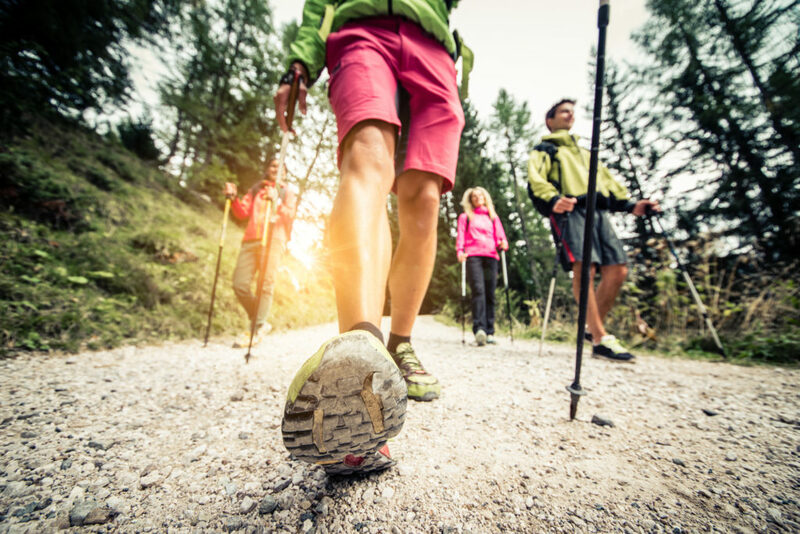 Whether the hiker in your life has a birthday coming up, or if you’re shopping for them “just because,” chances are you know that they’re going to want something related to their favorite hobby. However, you just can’t give them another trail guidebook or “weather-resistant” backpack. Looking for more creative gifts for hikers than the standard pair of boots? Read on to learn all about the gifts your hiker actually wants — and hasn’t already been given by five other people. First up on our list of the best gifts for hikers? A portable coffee press — because let’s face it, even on a mountain in the middle of nowhere, you’re still going to need access to that beloved cup of joe. Most portable options work on the drip model, which means that the hiker in your life will boil a little water on the campfire and pour it into the coffee grounds at the bottom of the cup. Then, they’ll let it steep for about five or so minutes, and press the grounds into the bottom of the cup. Always look for an insulated option, so that the coffee stays hot for as long as possible. With hiking deaths from dehydration tragically on the rise, it’s absolutely crucial that you consider hydration tablets as one of the most important gifts for hikers. These tablets can be dissolved in a small amount of water, and are jam-packed with electrolytes and vitamins that help to rehydrate the hiker in your life as quickly as possible. Most tablets also contain what’s called dextrose, which helps your body to absorb water faster than ever. If your hiker is a little on the picky side, there are also lots of flavored options available. Consider throwing in a portable water purification device, especially if your hiker likes to do their climbing in more remote areas than most. It happens almost every day — hikers all around the world get lost, and not everyone makes it. While it’s always important to talk to your hiker about where and for how long they plan to hike, sometimes, you might want to take things a step further when it comes to your ability to track them. Enter the portable emergency beacon GPS system, powered by satellite technology. Not only will this help people know the coordinates of your hiker, it will also let them send up a signal for help if needed. This GPS guide on a popular hiking review site will help you to find the best model for the hiker in your life. It’s true — even hikers can’t stay away from their electronics. In addition to helping hikers to navigate a new trail, smartphones are also where hikers store lots of their music. So, even if they aren’t always able to get service, chances are that they’ll still need to access their phone in some way. This is one of those “you don’t know you need it until it’s too late” gifts for hikers. Make sure you get a pair that’s specifically designed for hikers, because they’re often made of quick-drying material and come with moisture-wicking properties. Especially if the hiker in your life likes to stay on overnights, chances are that they’ll need to be able to see in the dark! And while these days, our smartphones have flashlights, they don’t provide the level of illumination most people need to safely navigate the woods. Still, that doesn’t mean that your hiker has room in their pack for a heavy, battery-powered flashlight. A crank light, which requires no batteries in order to shine a light on the world around them. They’re available in tons of different sizes, but we especially like ones that clip on belt loops. Even if the one you love is hiking during the winter season, they’re still at risk for getting seriously sunburned. In addition to causing premature aging and increasing the risk of skin cancer, sunburns can also ruin an otherwise perfect hiking trip in an instant. Show your hiker that you care about their safety by gifting them with a pair of UV arm sleeves. These can go on either over or underneath their clothes, and are usually available in an awesome variety of colors or patterns. Usually, they’re made of a combination of spandex and polyester and use moisture-wicking properties to keep your hiker cool. For best results, look for options that offer at least 40 UPF protection. When the hiker in your life needs to take a shower while out on the trail, it’s already enough of a challenge. Bringing a towel, which takes forever to try and takes up valuable room in a pack, can make it even harder? Giving them the gift of a quick dry towel, which has the ability to fit back in their pack dry as a bone in the shortest amount of time possible. Trust us that your hiker — and everyone they’re traveling with — will seriously thank you later. Plus, everyone will be more comfortable. Which Of These Gifts For Hikers Will You Give? No matter what occasion is coming up in your hiker’s life, we hope that this list of the best gifts for hikers has inspired you to start your shopping early. Remember, getting gear that keeps your hiker safe and allows them to be a little more comfortable on their next expedition is the best bet. Maybe your gift will even garner you an invite for their next excursion! Looking for more advice on how to get the most out of the outdoor life? Obsessed with staying comfortable, no matter where you are? If so, then be sure to check out our website and blog for access to how to hack your life in the great outdoors!